Z06Vette.com - Corvette Z06 Forum > C5 Z06 Specific Topics > C5 Z06 - Pit Road > Tires a must? Purchased an 01 Z06 about two weeks ago. 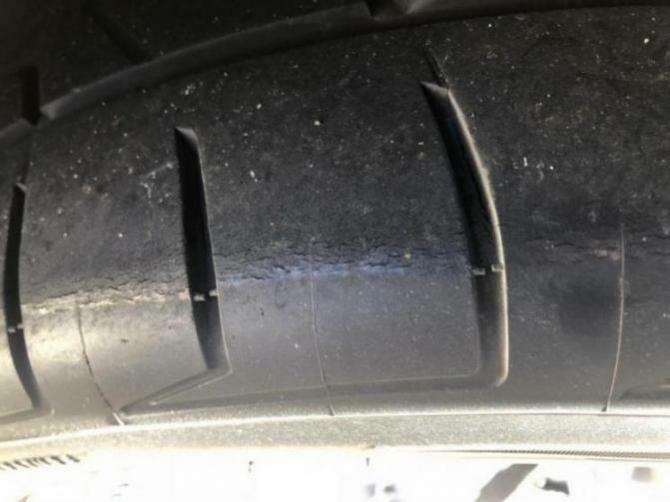 Friend of mine says I must purchase tires first thing because the edges are showing cracks due to the car sitting up for a pretty long time. Do I really need tires right now? Thanks! A few observations here. First off those lines that are running north to south on your tires are not cracks. They are mold lines from when the tires were molded. Second if you want to know the age of the tires because you think they are getting old, check the DOT numbers on the sidewall and decode them, that will tell you when they were manufactured. 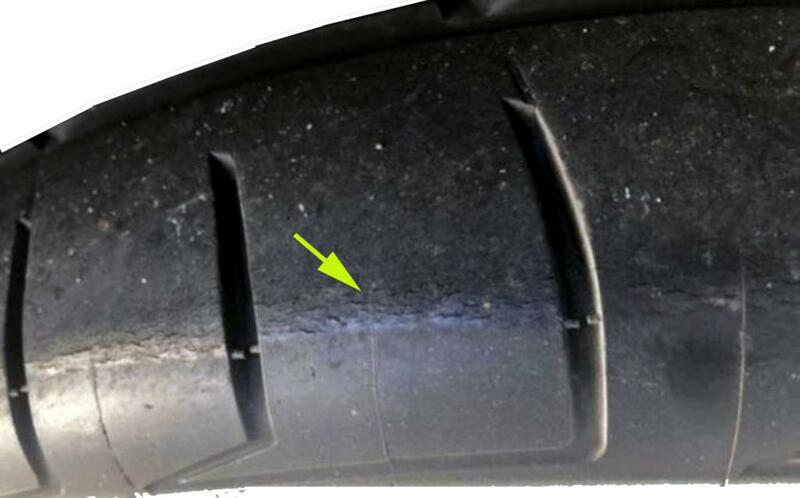 If they are ten + years old regardless of the tread left get new tires. There should be time stamp on the tires. If they're not over 10 years old I would keep them unless you have minimal tread or less than about 3/32". The ones in the pic look good from what I can see. Thanks but, Lol, yeah I know those are the molds but I was referring to the east and west small cracks across the molds. That these maybe could cause a blowout. The date of the tire is 0713. My 2010 ZR-1 continues to have its original tires-tread looks good on all four at 30% wear. Just turned over 16k miles-obviously never hard driven. EVERYONE says "get new tires no matter what". I see no age cracks with magnifying glass. Tires DO seem to break loose easier now than when the car was new (late 2009) so I am figuring that is age. I do not drive any high speed for very long (seconds as opposed to minutes) like on ramps etc occasionally maybe touching 3 figures. I will replace the tires in the spring with OEM Michelin's.